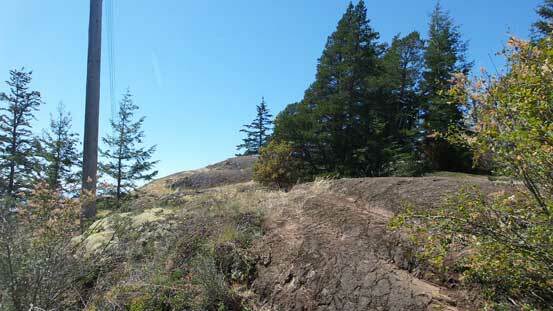 With elevation under 150 m Goose Rock is perhaps the lowliest summit I’ve ever bothered to ascend. However, to some extend this is not as why-bother as one might think. 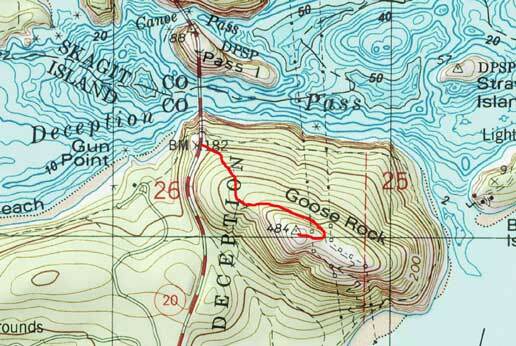 Goose Rock is the signature summit, and also a key attraction in the Deception Pass State Park guarding the entrance to Whidbey Island. 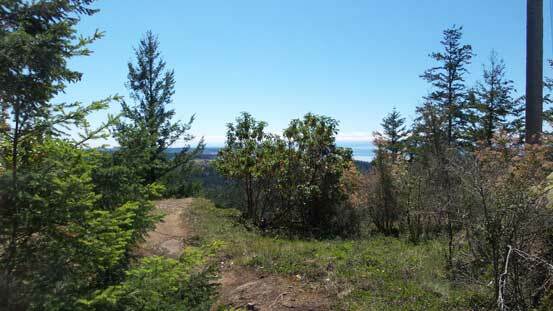 This is also the highest peak on Whidbey Island and the open summit offers some bird’s eye view of the surrounding areas by Puget Sound. In late fall of last year I drove up the nearby Mt. Erie and had some general expectation from this area. It’s a place not far from home, and pretty much can be visited in any time I want, but better to be saved for those days when I can take someone else out for a short hike. 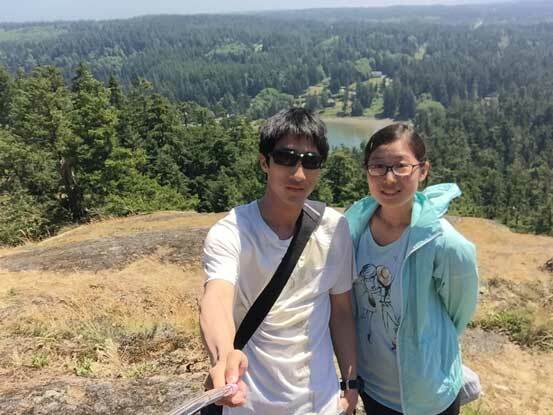 When Yujia came visiting from Massachusetts state I figured the Deception Pass Park would serve as a good introductory to our beautiful west coast scenery. And of course for someone like me always having a mind to go upwards, a hike to the summit of Goose Rock made the most sense. The drive from Seattle to Deception Pass State Park took about 2 hours but when we got there, the main parking lot was full. 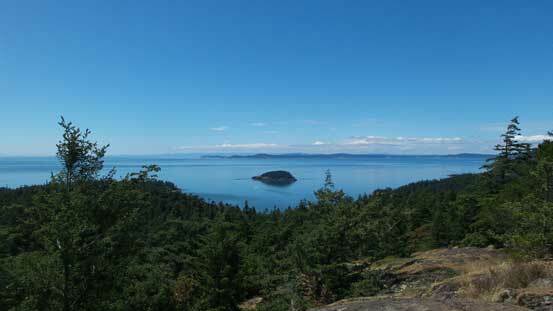 It didn’t look like someone was going to leave soon so I turned around, and found a parking space on the tiny Pass Island in the middle of Deception Pass. 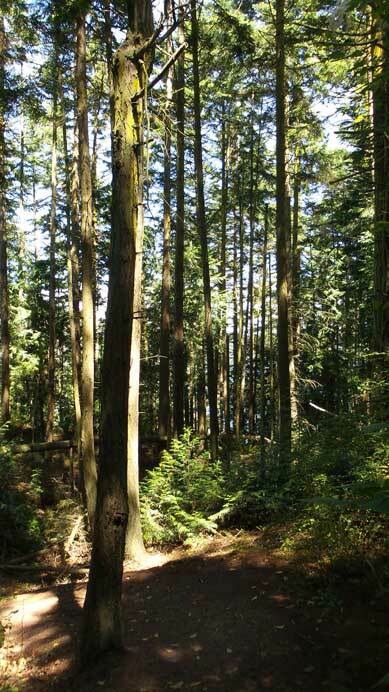 From there we had to firstly walk across that famous Deception Pass Bridge. The shoulder was narrow but the views were incredibly scenic. 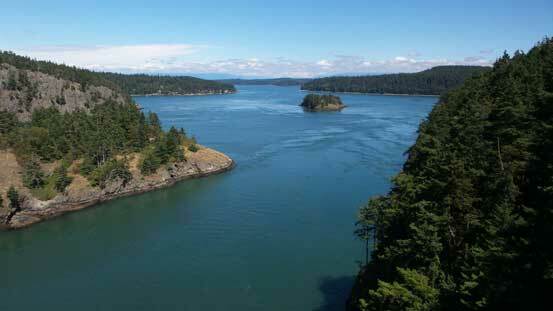 Once down to the south side of Deception Pass Bridge we were officially on Whidbey Island. 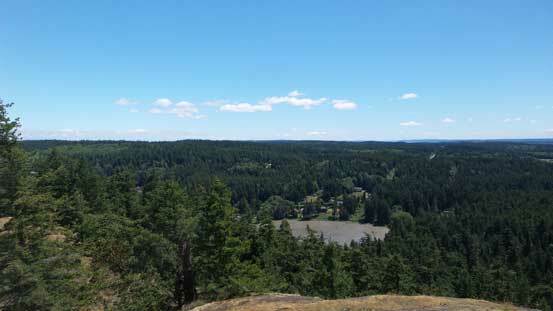 The trails were well signed and it’s a mere 0.4-mile walk to the summit of Goose Rock. 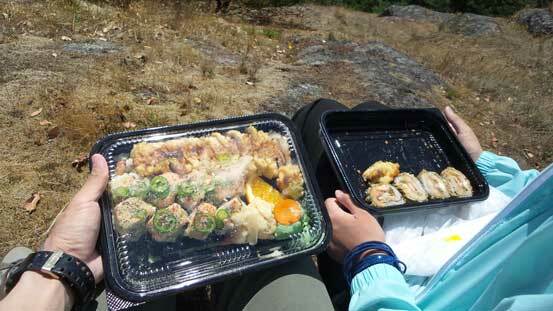 Despite that we still came prepared with food and water. There’s nothing to describe about the hike itself and we made there in less than 20 minutes. After having lunch and hanging around for a while we figured it’s eventually the time to get down. 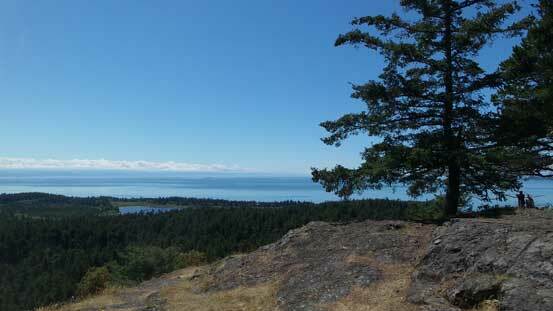 The descent took us no time and the walk back across Deception Pass Bridge was just as scenic as in the morning. This time we stayed on the west side for some variety but I’d say the east side offered more unique views. Later in the day we took a short detour to check out the nearby Rosario Beach which turned out to have some great coastline scenery.